On Friday, December 7, Palatine Park District’s Allegro Community Chorus will present a concert in two segments. The first half will explore themes of earthly and spiritual harmony, reconciliation, and celebration, featuring jazz, folk, and gospel songs. Following the intermission, the adult community chorus will dive into songs of the season, covering popular hits old and new. The chorus performs two formal concerts at Cutting Hall Performing Arts Center each year and frequently sings for other occasions, including Downtown Palatine Business Association’s Holidays on the Town, Palatine Area Chamber of Commerce’s Business Expo and Community Showcase, and Palatine Park District’s Sounds of Summer Concert Series. “Sing, Sing, Sing!” will perform at Cutting Hall Performing Arts Center, 150 E. Wood Street, in Palatine on Friday, December 7 at 7:30pm. Tickets are $7.00 each and available for purchase online at cuttinghall.org, or in person at the Cutting Hall Box Office between 3:00pm-6:00pm on Wednesday, Thursday, or Friday. 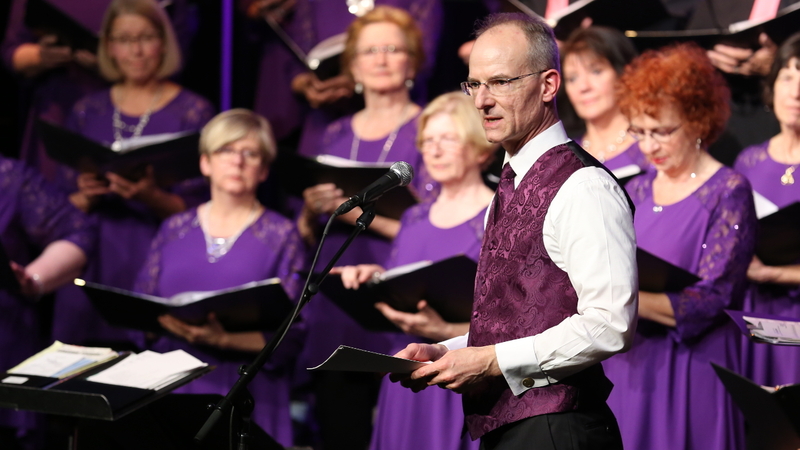 For more information about Allegro Community Chorus, visit allegrochorus.org or contact Cultural Arts Coordinator Ashley Schiavone at 847.496.6237 or aschiavone@palatineparks.org.